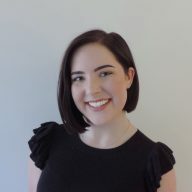 We all know how cold it gets in Canberra at this time of year, so it is important to give your skin some extra special attention! 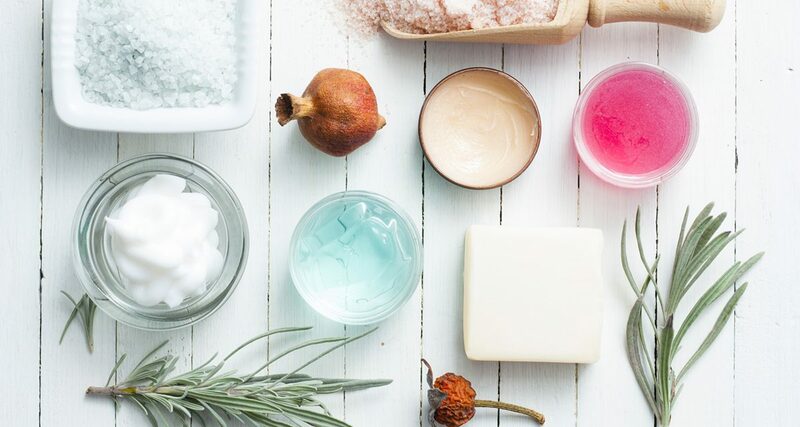 Banish that dry, dehydrated, and itchy skin and give your winter skin care regimen a boost with some of our skin care products! Ladies, we all understand that taking off our makeup can be messy and just plain annoying. Certain products can also dry the skin out during winter – cough…makeup wipes. 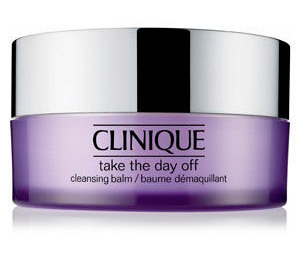 Clinique’s Take the Day Off Cleansing Balm is the perfect solution. This solid balm turns into a silky oil but isn’t greasy and doesn’t dry out the skin. You’re makeup literally melts away, so no more panda eyes… they’re cute but not on your face! It can be purchased at Myer or David Jones for $55 and is definitely worth the money! A hydrating cleanser is always a good idea to remove the excess cake face. 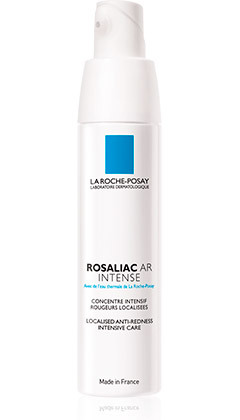 La Roche-Posay is a French skin care brand that is made for sensitive skin and is recommended by dermatologists worldwide. 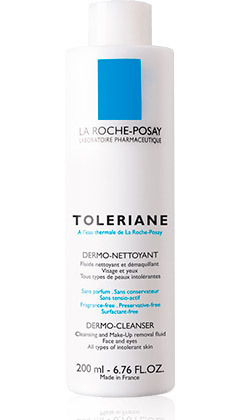 The Toleriane Dermo-Cleanser is an absolute miracle worker. It makes your skin feel unbelievably silky smooth and doesn’t irritate your eyes. It’s made for dry-intolerant, sensitive skin and makes sure the skin is kept free of dehydration and irritation. You can pick up this gem at Priceline for only $25.99. A serum is your new best friend this time of year – and yet again, La Roche-Posay has hit the nail on the head! Its Rosaliac Ar Intense Serum not only calms discomfort and sensitive areas on the face, but also reduces and prevents redness. It deeply nourishes your skin and actually works! It can also be purchased at Priceline for just $39.99. Flakey skin in winter is the enemy! A way to keep it at bay is by using a good facial scrub. 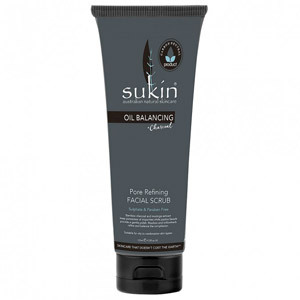 Sukin Oil Balancing Plus Charcoal Pore Refining Facial Scrub is amazing! It deeply exfoliates the face with jojoba beads, bamboo charcoal and clears the pores. It also, and most importantly, keeps your natural oils balanced for a flawless complexion. For $12.99 at Priceline, it’s well worth it. It’s always wise to use a moisturiser to give your skin that extra oomph. 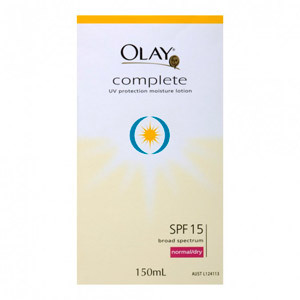 Olay’s Complete UV Lotion for normal to dry skin with SPF 15 is an essential. Not only does it nourish the skin, it’s also a fantastic makeup primer! It contains glycerin, which is what foundation and powder stick to. Seriously, ladies, this is game changer – forget $50 primers that don’t do anything anyway and get your hands on this one for $14.99 at Priceline, Coles and Woolworths. Is your skin so dry and itchy that moisturiser literally doesn’t help? 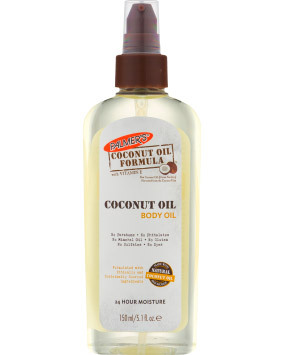 I have the answer – Palmer’s Coconut Oil Formula Body Oil. This deeply hydrating, fast absorbing body oil rejuvenates and replenishes damaged skin to give it moisture and radiance. This $9.99 bottle of heaven gives you baby skin again can be purchased at Priceline. One of the worst things during winter is dry, chapped lips. Throw away your paw paw girls and get yourself a heavy duty lip oil to keep your lips looking extra smooth for your cuddle buddy this winter. 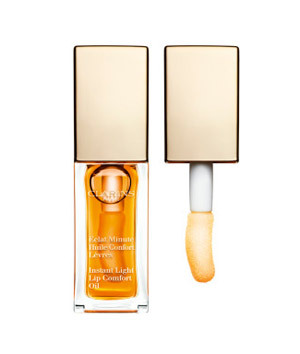 The Instant Light Lip Comfort Oil by Clarins is an innovative formula that rejuvenates and deeply rehydrates the skin cells. At $33 a pop at David Jones it’s extremely worth it for those dry lip sufferers out there! Last but not least, pampering yourself with a face mask is always a good way to relax and unwind. 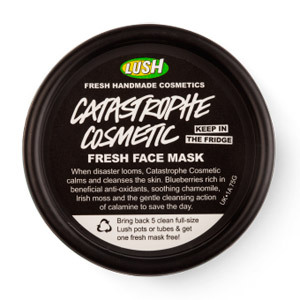 The Catastrophe Cosmetic Fresh Face Mask by Lush is my pick for this time of the year. Jam-packed with blueberries, calamine, chamomile, almond oils and rich vitamins and minerals, helps to protect the skin from the inside out. This calming and moisturising face mask can be purchased at Lush for $13.95 and is perfect for the Canberra winter.